At Advantage Seamless Gutters, we offer complete gutter services – from gutter cleaning to installing half round gutters. You can also count on us to solve common issues in your home. 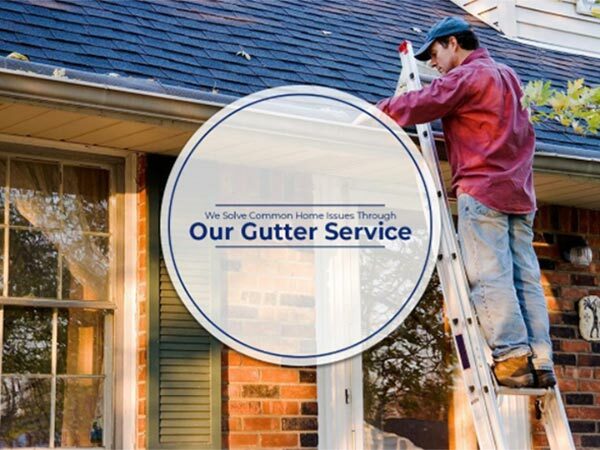 In this post, you’ll learn how we do this through our expert gutter services. Your home will experience constant weather damage throughout its life span. Apart from the roof, it’s your exterior walls that will take much of the beating. Wall paint and low-quality siding will only protect your home so much, and will ultimately fail once they wear down completely. Advantage Seamless Gutters is a local company that provides custom sheet metal fabrication services. Water damage is a rather common issue that usually stems from two things: leaks or spills in the gutters. The latter is more dangerous since there’s a high chance that the water will spill and pool near the foundation. This not only causes structural damage over time, but it also loosens the ground surrounding it. Our seamless gutters lack seams and gaps, so there’s no chance of water spilling. These gutters are also clog-free since we use Valor Gutter Guards that keep your gutters free of debris. This gives them the advantage of unmatched sturdiness and no maintenance. Advantage Seamless Gutters offers expert gutter installation. Call us today at (218) 270-2663 to learn more about our home improvement services. We offer seamless and half round gutters throughout Baxter, Alexandria and Crosslake, MN.